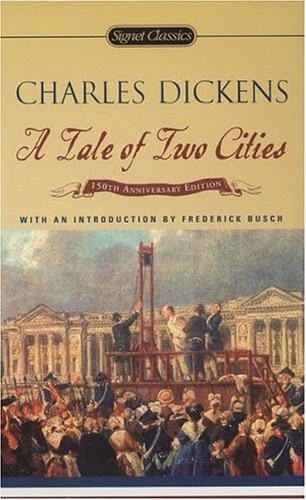 Well, I have gone and hijacked the title of this post from the opening line of Charles Dickens' classic A Tale of Two Cities. The full quote is one of the most iconic opening lines in all of literature. "It was the best of times, it was the worst of times, it was the age of wisdom, it was the age of foolishness, it was the epoch of belief, it was the epoch of incredulity, it was the season of Light, it was the season of Darkness, it was the spring of hope, it was the winter of despair, we had everything before us, we had nothing before us, we were all going direct to Heaven, we were all going direct the other way. . . ."
What Dickens plays with here is the use of anaphora, the repetition of phrases in subsequent clauses. In doing so, he places equal weight on each of the subjects in the clause. Through his marvelous use of language, Dickens suggests a balance in this struggle between the juxtaposed themes- wisdom/foolishness, hope/despair, etc. From the beginning title and opening line, right through to the end, Dickens is consistent is this motif of duality. I have personally chosen to view this winter in the same light. Although there has been much cause for despair in the wintry mess, there has also been moments of hope and fulfillment. What Dickens plays with here is the use of anaphora, the repetition of phrases in subsequent clauses. In doing so, he places equal weight on each of the subjects in the clause. Through his marvelous use of language, Dickens suggests a balance in this struggle between the juxtaposed themes- wisdom/foolishness, hope/despair, etc. From the beginning title and opening line, right through to the end, Dickens is consistent is this motif of duality. I have personally chosen to view this winter in the same light. Although there has been much cause for despair in the wintry mess, there have also been moments of hope and fulfillment. 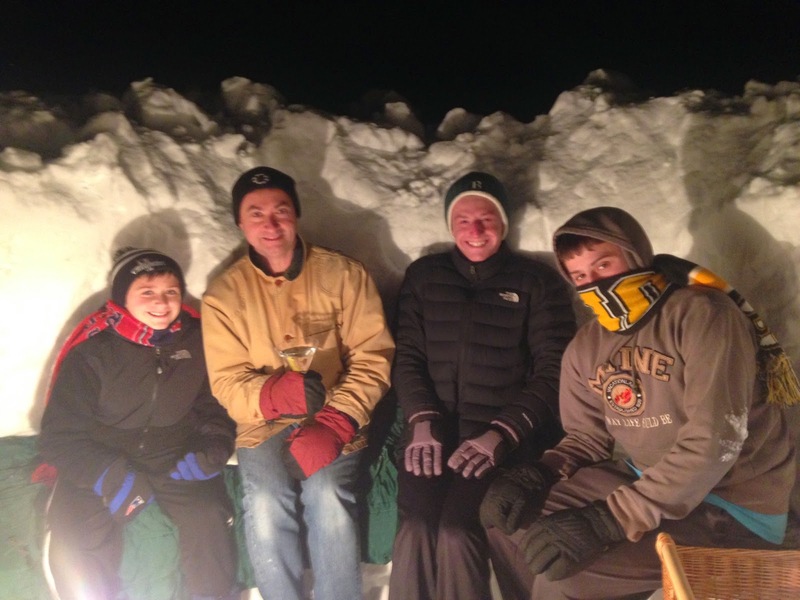 The construction of the Triple G (Glacial Gin Garden) has been a great family effort. I suspect that events such as these will leave pleasantly indelible memories for my boys. Turning the boundless amounts of snow into a humble abode plays right into Dicken's theme. Just as the country of France arose from the dreadfully gory times of the French Revolution, the Triple G arose from the inglorious piles of snow thrown upon us by Mother Nature. I am certain that some day my children will have similar times with their offspring as well. Who knows, maybe I will even be around to enjoy them as well. And having read the book twice, that seems a fitting end.